Mattone can meet and exceed your catering expectations handling parties from 10 to 1000. Ask about our Black Tie service! Mattone offers Private Dining of parties up to 140 people. Packages start at 16 dollars per person. Mattone Restaurant and Bar will gain its popularity over the years as a place where patrons come to enjoy food and beverages of the finest quality, served with hospitality and good spirits. Come see what everyone is talking about!!! Had a wonderful Easter brunch with the family. Yummy food , great service and awesome price. Thank you! Service was great. Food was so-so. Some of what should have been warm was cold. It was like it was cooked the day before, refrigerated overnight, and then they depended on the sterno alone to warm it up. Pork ribs should not be served cold :-( Not a huge buffet, but okay. Server was very attentive to drink refills and bussers did a great job clearing plates. 3/5 overall. Mary-our server- was very attentive! The food was outstanding particularly the Brussel sprout appetizer. My girlfriend had a spicy shrimp dish she loved. I had the short rib gnocchi. There were a few pieces of very fatty cuts but on the whole it was very good. It’s become one of our favorite restaurants. I usually meet my friends, who live in Chicago area or further south, at Mattone for dinner because it's a good half way point and the food is outstanding. The servers are always above and beyond friendly and helpful. Mattone's is a very comfortable family friendly place with unusually good food. We are always extremely pleased with the quality of the dishes there. They also have some uncommon desserts such as doughnuts that are excellent. The food was delicious. Would definitely return. 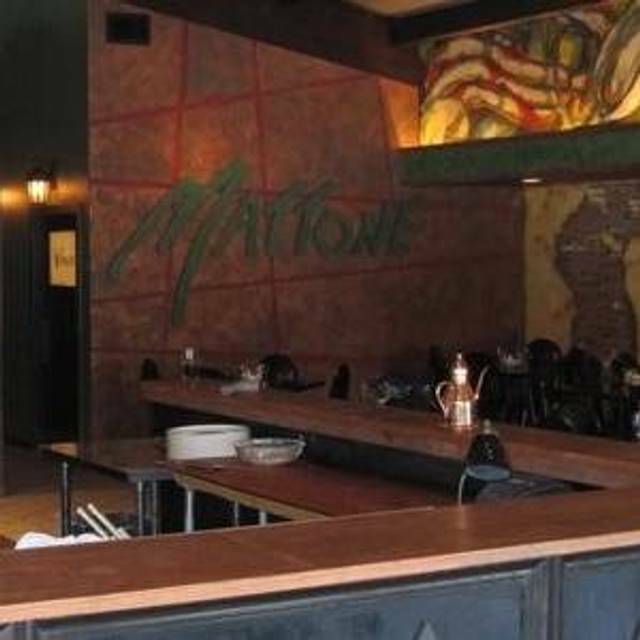 Always a great meal at Mattone. Raviolis are a staple. Chicken Limone superb. And for just a quick sandwich try the wood fired Neapolitan Ribeye. A meal in itself. After dinner have the homemade Tiramisu. Mattone has quickly become a regular favorite of ours. Tonight we learned how delicious their wood-fired pizzas are, and especially the spinach egg pizza! Yes, that's right - a cheesy spinach pizza with a great big runny-yoked egg in the middle that is fabulous! To top it all off, pizzas are reduced price on Tuesdays. It doesn't get any better than this. Just a nice solid place. Nice service too. Wanted an order of just mussels which were not on menu other than with a pasta dish, and they happily obliged with no hesitation. Neighborhood gem. We love that restaurant. Always good service and food. A local restaurant with great service, outstanding food and amazing atmosphere! Mary the bartender/server was outstanding. We can always count on having a great meal here. We took friends here for the first time and they loved it too. We will be back. Heard great things about Mattone, but was very disappointed. Food was mediocre, atmosphere felt old, service as rushed and rude - in general, upset I spent my time here and plan to never return. The food was absolutely amazing! Would go back! The service was terrible, terrible, terrible! That would keep me from coming back for sure!!! Love this restaurant never disappoints, always serves the best authentic Italian cuisine would recommend to all tastes. We really, really like Mattone! It is fast becoming our "go to" restaurant when I don't feel like cooking. I hope, eventually, to try everything on the menu, because everything we have ever had has been great. But we have a few favorites that make it hard to order new things every time. The fried calamari is one of those items. So is the crispy stuffed chicken. This time I had one of the off-menu specials - sauteed scallops with risotto - and it was fabulous. The scallops were cooked perfectly (not overcooked or rubbery). I have confidence now ordering anything they offer. It can be a little louder than we prefer, especially if there is a large table nearby, which we had this time. But the wait staff is always nice. Good was great (4.5/5, so I gave it a 5), service was a little slow and inexperienced. Very nice though. Ambiance was a nice mix of casual and nice, but maybe not enough anything ... a little too nice to be casual, a little too casual to be nice. But overall very good. This is one our favorite places for special occasions. the jar bruschetta is out of this world! Wonderful restaurant. I love the fire grilled salmon. It is a wonderful neighborhood find. Delicious food, good sized portions. Cocktails were great, good wine also. Delicious menu! Our server was delightful and helpful with food and wine selection. I have been here before and have had delicious meals. This time, must have been an off night. A party that sat next to us had more people, but they were served and finished with their main course while we were still waiting for ours. When it came, three of the four of us had food that was overdone. ( My short ribs in sauce was dry and not saucy at all. My dad's ribs were charred on top and on the ends. The stuffed chicken breast of another person in our party was just ok due to being a bit overcooked.) The manager was gracious and came to see what he could do a and comped my short rib meal. We did not want to wait for another order to be cooked as it was New Year's eve and my 90 year old dad wanted to get home. We were given a dessert to take home. Wondering if they forgot our order or if it was reheated because it was late in being brought to us. Either way, not the best meal. Mattoon came through again - we have enjoyed our meals there for five years now on New Year's Eve. Our table was waiting, the food, as always, was delicious and our waitress was really great. Been to mattones on several occasions. I keep going for the crispy stuffed chicken. Stuffed with risotto and side of sautéed spinach with a lemon sauce. Yummy. Ive never been a spinach person. But I’ll eat mattones. My husband had his usually salmon on a cedar plank. Went on New Year’s Eve. Did make reservations thru open table. Will go back again. Reasonably priced and another local go to when we like to go out. Always a fantastic dining experience - outstanding food and friendly service. Never disappoints. Same great service from our waitress, Laurie. Yummy food, excellent service! What more can you ask for!! Food is great and has large portions. Service was great as well. Casual dining with great food and drinks specials. Great restaurant. The food is always good. Great neighborhood find. 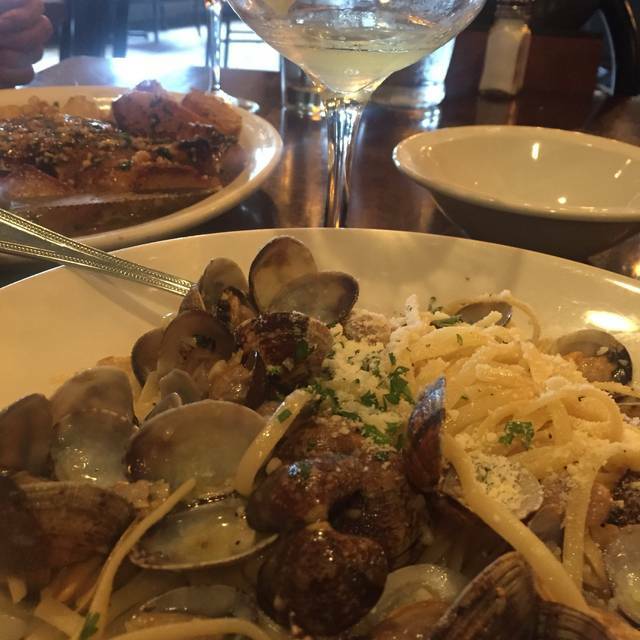 Delicious food, exceptional service. Always a great place to dine. This is one of the best Italian restaurants in the western suburbs, they will offer some made to order entrees. They did not have high chairs ready for us despite note requesting, and only had 1 high chair available when we needed 2. Portion sizes seem smaller, especially the gnocchi. Otherwise love the food, good service, and will continue to come back.